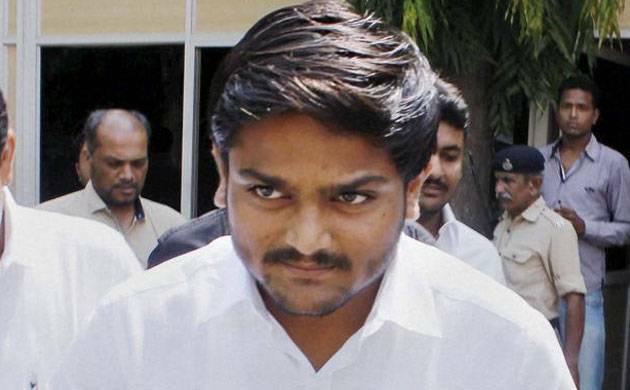 With the BJP inching closer to retaining power in Gujarat, Patidar leader Hardik Patel on Monday alleged the saffron party played an "unfair game" by "tampering" with EVMs and using "money power". The Patidar Anamant Andolan Samiti (PAAS) convener, who backed the Congress in the polls, said the party would have won had the BJP not "indulged in cheating". Patel announced that he would continue his stir to get OBC status for Patels. The trends and results available for all the 182 seats of the Gujarat Assembly at 1700 hours showed the BJP won 75 and was leading in 24, while the Congress bagged 70 seats and its candidates were ahead of rivals in 7 constituencies. The NCP has won one seat, while the Bhartiya Tribal Party (BTP) has emerged victorious in two constituencies. Out of three remaining seats, an independent candidate has won one, while Independents are leading in two. "I congratulate the BJP which has won by tampering with the EVMs. Though people of Gujarat had taken a decision (of uprooting the BJP), the ruling party won through money power and by tampering with EVMs," Patel told reporters. He also conceded that results from urban seats of Ahmedabad, Rajkot and Surat were not on expected lines. Patel insisted that EVMs can also be "hacked" like ATMs. "There were instances wherein WiFi networks were detected during polling," he claimed. Patel also alleged that seals of EVMs were found broken before the counting started today at many places. "I urge all opposition parties to start a movement against the use of EVMs and demand that next elections be held through ballots papers only," he said. Patel seemed upset over the poll outcome from urban seats of Ahmedabad, Surat and Rajkot, where the BJP is either leading or has won most seats despite the whirlwind campaigning undertaken by the quota spearhead. "People of rural areas did their bit but I fail to understand what urban voters did. Now, I will spend more time in urban areas," he said. Patel said it was "difficult to digest" the BJP's victory on several seats such as Varachha Road and Kamrej in Surat which have sizable Patidar population. "Varachha Road and Kamrej have over one lakh Patidar voters each. They even turned up in huge numbers during my rallies in those areas. Despite that such results have come," he said. Patel alleged the poll outcome showed that the BJP won through "unfair means". "The Congress could have won if they (BJP) had not done such cheating. Playing a safe game, the BJP had set a target of winning only 100 seats so that no one questions their victory," he said.